Parmly: Secrecy necessary - "Otherwise it's anarchy"
Below is a translation of a recent interview with Michael Parmly, former chief of the U.S. Interests Section in Havana. The original interview was published in French and appeared in the Swiss newspaper, Le Temps. Michael Parmly could not remain indifferent to the publication of thousands of documents from the U.S. State Department by the site Wikileaks. He headed the U.S. Interests Section in Havana from September 2005 to July 2008 and has signed numerous cables sent from Cuba to Washington that the daily El País published mentioning him by name. 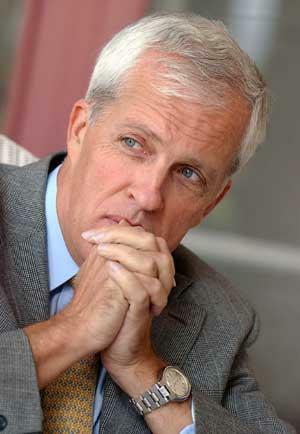 In a cafe in Nyon, a few days after these revelations, we received Michael Parmly. He recently retired after working for the U.S. Mission in Geneva. "The documents prove that we have principles, ethics,” noted the diplomat, whose grandmother, a Cuban, had left the island in 1920 to marry an American general. “But Julian Assange broke the law by publishing confidential telegrams. Every business has its rules and is entitled to its secrets. Otherwise it's anarchy. Or voyeurism." A cable of March 16, 2007, signed by Michael Parmly, describes how Fidel Castro fell gravely ill aboard a plane that carries him from Holguin in eastern Cuba in Havana in July 2006, shortly before turning over power to his brother Raul. He has diverticulitis and a perforation of the large intestine, and the plane makes an emergency landing. According to the document, Fidel refuses to undergo a colostomy. And intervention of another kind is made by his regular doctor, but it fails. The colon is infected and Fidel must undergo a new operation and loses 18 pounds. The former head of the U.S. Interests Section, located along the Malecon, Havana, had a practice of involving fifty Americans present in Cuba in the work of information to the Department of State. He fears that some will be identified: "Contrary to what some publications suggest, I wrote 1 to 2 percent of the cables. It was important for me that the staff write. It was a form of learning. I personally did not write the cable on the health of Fidel. It is the work of someone who had contacts with hospitals and physicians. I hope she is never identified. " At his residence, Michael Parmly, who the Cuban authorities had tried in vain call a "pariah" to cut off access to the population, received more than 800 people, ordinary Cubans, dissidents, but also government officials, even if it was much rarer. At the U.S. Interests Section, a secure room with a computer was available to Cubans who registered. A dozen visitors who have not complied with the conditions of using this "library" were once banned electronic access. A fact which provoked the ire of some dissidents, Vladimiro Roca and Elizardo Sanchez. The two came to meet with Michael Parmly. These discussions have been published in the WikiLeaks documents. "These are two international figures. The damage is limited. If it is instead a family man, little known, appears in a footnote, he could suffer the consequences of his life. I would also be very unhappy if the many conversations I had with blogger Yoani Sanchez should be released," notes the former U.S. official. The diplomat has even been invited by the head of a Committee of Defense of the Revolution (CDR). "He asked me if he could go there. I could see no objection. We had to listen to the Cuban people," insists Michael Parmly, who had the support of the Secretary of State Condoleezza Rice and has attracted interest from President George W. Bush during a meeting in the Oval Office. "The Wikileaks published documents may discourage Cubans from talking to us. The capital may be less informed. Intimidated, the diplomats could censor themselves. If I had known of Wikileaks, I would have reduced the production of documents in half. An effort to lower the level of classification was undertaken. Now, the secret will again be reinforced." Cubans have read the first time the U.S. cables and have published several on the site Cubadebate. Havana believes that these documents prove the policy "imperialist" Washington. But the Cuban government censors the cables on the health of Fidel and Raul Castro's request to the White House to create a special channel of communication. As for Michael Parmly, he now poses a question: "Will Julian Assange publish the diplomatic documents of Iran and North Korea? Is there a hidden agenda?" If U.S. prosecutors use any evidence from Cuba against Luis Posada Carriles, his lawyers say they'll argue that the Cuban government has a history of falsifying and making up evidence. The anti-Castro militant is scheduled to go on trial on perjury and other charges on Jan. 10 in El Paso. Evidence from Cuban authorities implicates Posada Carriles in a string of Havana bombings that killed an Italian man in 1997. In a six-page document filed today, his lawyers warn that they may introduce evidence that the "political will" of the Castro brothers has corrupted Cuba's judicial system and, therefore, any testimony from Cuba is unreliable. Evidence of The Cuban Spies, "The Wasp Network" and the downing of the two Brothers to the Rescue planes. For instance, the GOC provided falsified evidence of the coordinates of the shoot down in order to show that the shoot down had occurred over Cuban territorial waters. The GOC provided to the defense testimonial, documentary and physical evidence that were admitted during the trial. The evidence consisted of handwritten onionskin layovers of radar locations showing that the actual place of the shoot down was over Cuban waters and a black box device that was pristine condition after the explosion on the aircraft indicating the location of the shoot down. 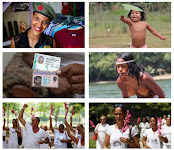 Evidence of the 2004 arrest in Cuba, summary trial and execution three days later of three Afro Cubans who had commandeered a boat at gunpoint to escape from Cuba. Evidence of the 2006 arrest in Cuba, detention, summary trial of 75 independent journalist and sentencing to long prison terms known as the "Black Spring." Evidence of the July 13, 1994, tugboat incident in Cuba where 37 people, including 10 children, were intentionally drowned by the GOC after being rammed by two steel frigates and its occupants hurled into the sea where they were drowned by strong water cannons from Cuban Coast Guard vessels. The defense may call witnesses who were on the vessel and/or who lost relatives who will testify regarding the threats and intimidation and drugging applied by the GOC officials to survivors at Villa Marista prison to change their stories for the international press and for a show trial in Cuba. Evidence of the long history of summary executions of the GOC’s political enemies throughout the island but in particular at the Cabana prison in Havana during the early years of the Revolution. Evidence regarding the 1989 overdose death of Cuba’s Interior Ministry Officer, General Jose Abrahantes, who was detained and died mysteriously of a heart attack while in a Cuban prison within days after stating that high level GOC officials were involved in or authorized drug trafficking during the Ochoa trial. Evidence of the trial in Cuba of Major General Arnaldo Ochoa, who was thereafter executed by a firing squad. Evidence of the trial in Cuba of Batista era pilots during the early days of the Revolution who fought against Castro. In particular, the Defendant may introduce evidence regarding the trial of Sosa Blanco in Cuba. The pilots were acquitted at trial. Castro was incensed. He declared the verdicts null and void and ordered a retrial before judges that he named. During the second trial, the pilots were all found guilty in a one-day trial. Some were executed others were sentenced to long prison terms. Jaime Suchlicki has been very adept at securing federal grants over the years. The Institute for Cuban and Cuban-American Studies at the University of Miami received more than $6 million in U.S. government grants under Dr. Suchlicki's leadership from 2002 to 2010, federal audits show. The institute has been one of the top recipients of federal grants related to Cuba. 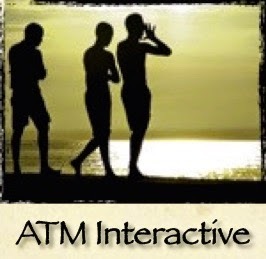 See more details at Where the $ goes, a new page at the Cuba Money Project. I am compiling information on U.S.-government funded programs related to Cuba, and it makes sense to list the top recipients. So I'm starting with the ICCAS, and I'll move on to other organizations from here. I am using data from federal audits to come up with these numbers. I'll add information from other sources - which sometimes conflicts with the audits - as I develop the website. I want to give readers a sense for what happens to U.S. government money destined for Cuba. Feel free to send me suggestions, ideas, documents and reports related to these U.S. government programs. And please let me know if you see any information on the website that needs to be corrected or clarified. My goal is to produce accurate and factual information that readers will find useful whether they agree with these programs or not. 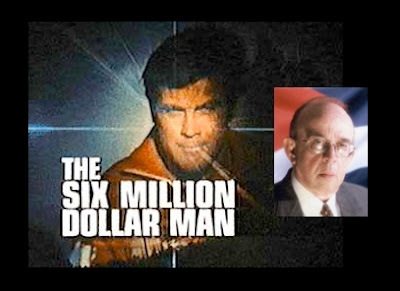 Thanks to Phil Peters at The Cuban Triangle for mentioning my new website, the Cuba Money Project. I added a new feature to the website this week. It's a FOIA tracker, which you can use to follow the progress of my requests for documents under the Freedom of Information Act. I sent off my second FOIA this morning. I requested details about the companies that sought contracts under the USAID's Cuba Democracy and Contingency Planning Program in 2008. The contracts were worth up to $30 million over a three-year period. Development Alternatives, Inc., or DAI, received the main contract, the Miami Herald reported in December 2009. DAI then hired Alan Gross, who has been in custody in Cuba for more than a year. I filed an initial Freedom of Information Act request today to learn more about one of the State Department's latest pro-democracy programs. I made the request as part of an investigative reporting venture called the Cuba Money Project. 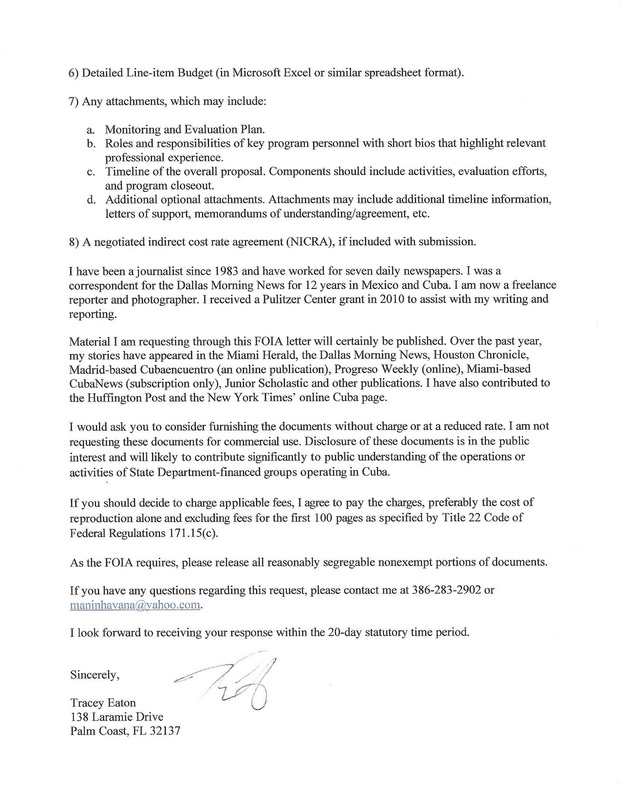 I plan to make public all FOIA requests that I file so that readers can track their progress and send me any suggestions. You can read the letter below (click to enlarge) or download the PDF. An imprisoned Cuban agent's 2001 conviction should be thrown out because his trial attorney "failed to present a legally relevant case," his lawyers say. A Miami jury convicted Gerardo Hernandez of conspiracy to commit murder for supplying information to the Cuban government that led to the Feb. 24, 1996, shootdown of two civilian planes. Cuban fighter jets shot down the planes over international waters, killing four U.S. citizens, members of the group Brothers to the Rescue. Hernandez' lawyers - Thomas Goldstein, of Washington, D.C., and Richard Klugh, of Miami - contend that trial attorney Paul McKenna tried to prove the shootdown was lawful, a legal strategy that made it impossible for him to defend his client. The government was required to prove beyond a reasonable doubt that Hernandez conspired with Cuba with the knowing intention of advancing a plan to commit murder—an unlawful killing with malice aforethought — regardless of whether a substantive offense ultimately occurred. In other words, Hernandez was on trial for what he purportedly agreed to do. But Hernandez’s lawyer mistakenly believed that Hernandez’s freedom instead rested upon demonstrating that the shootdown that occurred was in fact lawful. In other words, counsel endeavored to prove that the actions of others were in fact lawful. This fundamental misconception influenced counsel’s every effort, and prevented him from taking essential steps in defense of his client. In short, Hernandez’s lawyer was his worst enemy in the courtroom. Because the Constitution cannot tolerate a conviction obtained under such circumstances, Hernandez’s conviction and sentence must be vacated. He willfully agreed to the commission of such an unlawful killing as something that he specifically intended to bring about, with substantial certainty that murder would occur. Prosecutors have until Jan. 31 to respond to the lawyers' motion. Hernandez, 45, is serving a life prison term at Victorville federal prison, 85 miles northeast of Los Angeles. For more information about the case, see The Miami Herald's Dec. 26 story. 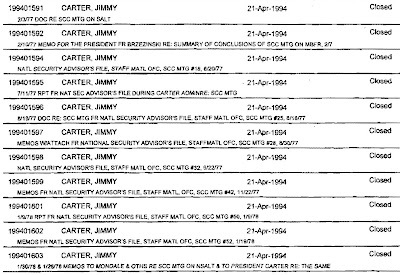 In 2002, former President Jimmy Carter asked the State Department to release previously declassified documents on U.S.-Cuban relations, according to a listing of declassification reviews. 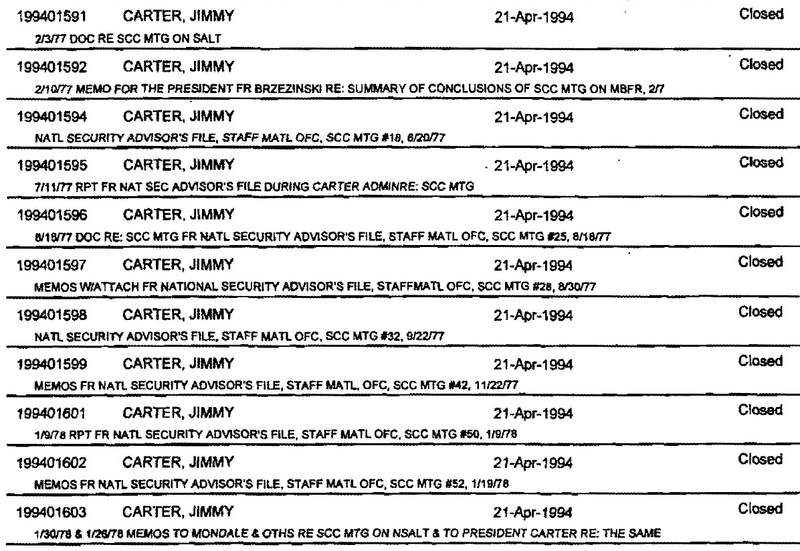 Carter made at least 39 additional requests for the declassification of State Department documents in the 1990s. 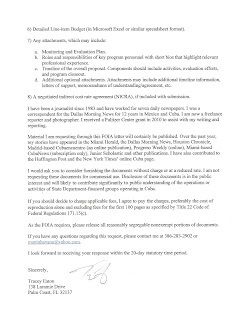 His requests were granted, which I imagine then allowed Carter to make public and write about the documents without violating any secrecy laws. The State Department listing doesn't give details about the documents. 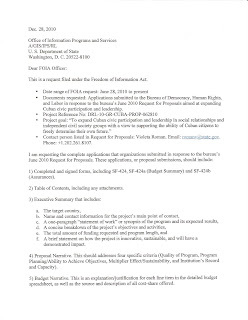 I came across Carter's requests in a massive 1,400-page PDF, which was posted on the GovernmentAttic website in October. 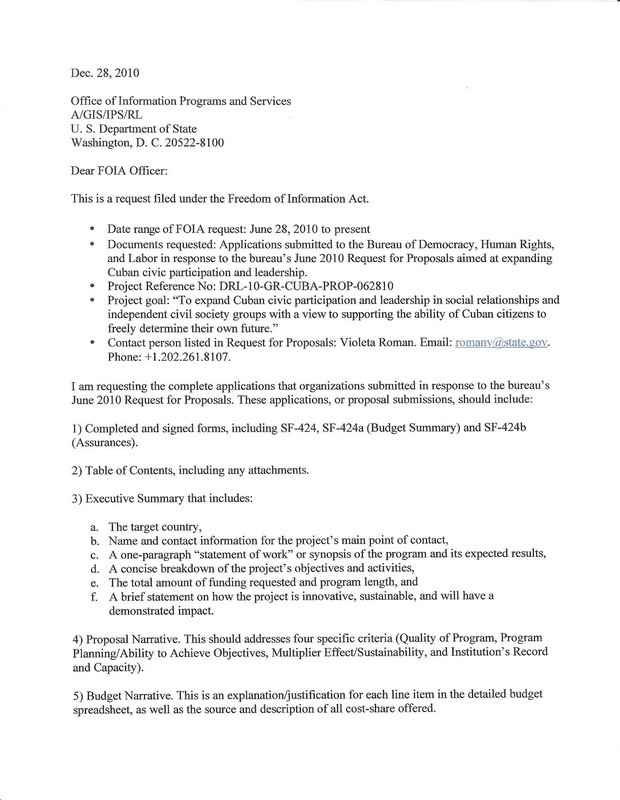 I am preparing Freedom of Information Act, or FOIA, requests in connection with my research into U.S. government programs in Cuba. (See Cuba Money Project for details about that). Scanning FOIA logs and reading letters of others who have made FOIA requests gives me some insight into how these things work. The State Department PDF shows a log of declassification reviews performed from 1974 to 2010. You can download the 77.5 MB document from this GovernmentAttic page. Carlos Andres Perez, who provided protection to Luis Posada Carriles Orlando Bosch in the 1970s, has died in Miami at the age of 88, the Associated Press reports. Andres Perez was a controversial figure who went to jail on corruption and other charges. I interviewed him some years ago while he was under house arrest at a posh residence that was perched on a hill overlooking Caracas. 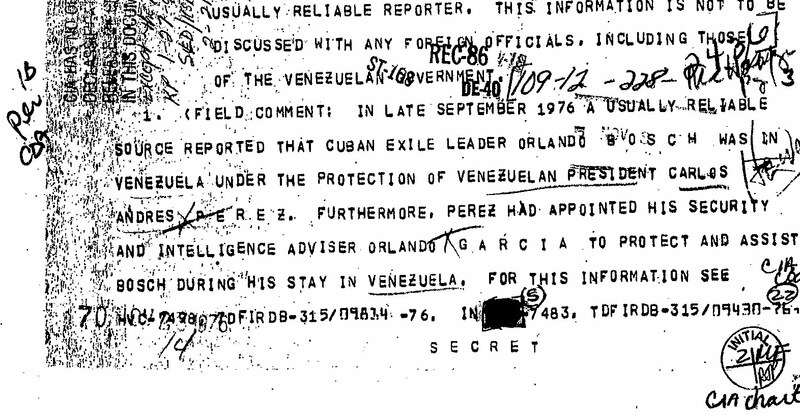 This declassified secret CIA intelligence report quotes a source saying that Andres Perez protected Posada Carriles Bosch after the Cuban exile went to Venezuela following the bombing of a Cuban airliner. The non-profit National Security Archive in Washington, D.C., obtained the report. What is the U.S. government accomplishing in Cuba? Promoting democracy? Burning up tax dollars? Or maybe a little of both? For more than a year, I've been kicking around the idea starting a website aimed at taking a closer look at U.S. government programs in Cuba. I've wondered what has happened to the hundreds of millions of dollars that the U.S. government has spent over the past 15 years or so. Are we just throwing away money? Or are U.S. officials helping to establish a society where Cubans can enjoy basic freedoms that most people in the Western hemisphere take for granted? With those questions in mind, I launched the Cuba Money Project website this week. It is an independent investigative journalism project based in Florida. Its mission is to become a leading source of information, analysis and opinion about U.S. government-financed Cuba programs. Cuba Money Project strives to remain independent. It does not seek to take sides, undermine the pro-democracy movement in Cuba or endorse socialism. The project’s goal is to provide factual information that could prove to be useful to a range of people, from American taxpayers curious about what has happened to hundreds of millions of dollars spent on Cuba programs in recent years to Cubans wondering about U.S. government activities on the island. I welcome your help in making the Cuba Money Project a source of factual information, analysis and opinion. As of this morning, Wikileaks had released just 3/4 of a percent - or 1,896 - of the 251,287 U.S. embassy cables that it says it has. About 6 percent - or 30 - of the 507 cables issued by the U.S. Interests Section. About 3 percent - or 62 - of the more than 2,000 cables tagged Cuba. Wikileaks has been releasing the cables for 26 days, including today. It has released an average of 73 cables per day. At that rate, it will take nine years and 131 days to release the remaining 249,391 documents. Even though only a fraction of the Cuba documents are out, I've had trouble keeping up. Finally, this morning, I belatedly added links to Wikileaks documents posted on this blog over the past three weeks. Apologies to readers for not doing that sooner. Links are vital, I know. This 2004 cable discusses a USAID-funded group in Spain, Cuba en Transicion. Raise the public profile of the regular EU-Cuban opposition exchanges the GOS has pledged to activate in Havana. 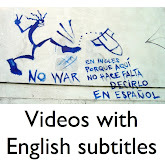 Create public space in the Spanish Embassy in Havana for civil society, similar to the USINT Havana media center. Distribute books and information materials to Cuban citizens, including both political and non-political literature. Create an official Spanish "human rights officer" position in Havana to act as a POC for democracy activists and for human rights NGOs overseas. lobby for higher-profile EU support for the Cuban opposition. grant through the Washington-based Center for a Free Cuba. XXXXXXXXXXXXX are the only dissidents worth listening to. President Aznar had alienated the PSOE. evaluation of conditions in Cuba. exchanges the GOS has pledged to activate in Havana. civil society, similar to the USINT Havana media center. not helping the bilateral relationship. complicates his efforts to influence the ruling Socialists. The Secretary stated she remains unconvinced of the sincerity of minor post-Fidel changes in Cuba. She emphasized the need to make real change, as opposed to cosmetic ones. For example, Cubans should have access to cell phones and the Internet. The Ambassador countered that GoS doesn't think that changes in Cuba since Raul's ascent to power have been cosmetic. He denied that Raul is another Fidel, but warned against being too heavy-handed and "scaring him off, or he will be even more difficult." A federal judge today denied defense lawyers' request for a delay in the trial of Luis Posada Carriles, but reserved the right to sanction prosecutors for their late delivery of evidence. Upon due consideration, the Court finds that a continuance is unwarranted and the Motion should be DENIED. However, the Court recognizes that the government’s tardy delivery of this very large number of materials may cause hardship for Posada’s defense at trial. Posada Carriles is accused of perjury and other charges. His trial is set to begin Jan. 10 in El Paso. Cuban exile Orlando Bosch was feeling better today, two days after he was rushed to the hospital. "He's very good now," said his wife, Adriana Bosch. "A nurse is tending to him right now." Bosch was assisting her husband, 84, and was unable to provide additional details this morning. Lawyers for Luis Posada Carriles asked Tuesday that the trial set to begin Jan. 10 be delayed. prejudiced by a delay indeed resulting from their lack of diligence. Posada Carriles' lawyers seek the services of a forensic pathologist named Ronald Wright, who divides his time between South Florida and Tennessee. His fee: $500 per hour for depositions; $400 per hour for consulting; and $4,000 for autopsy exams. As to assistance in the defense of your client, I can start today, but the volume and probable complexity of the records concerning the treatment, death and autopsy of Fabio Di Celmo present real time constraints which make analysis impossible by the start of trial on 2011 January 10. I am prepared to travel to Cuba, should you and/or your client require it to assist with the depositions of various witnesses. However, I have two hearings and one trial prior to the Christmas holidays, and one trial after, so it will be hard to schedule prior to the start of the trial. A federal judge on Tuesday denied prosecutors' request to travel to depose witnesses in the perjury trial of Cuban exile Luis Posada Carriles. Prosecutors wanted to take statements from Otto Rene Rodriguez Llerena and Francisco Chavez Abarca, both of whom have accused Posada Carriles of involvement in a string of bombings in Havana in 1997 and 1998. Upon due consideration, the Court finds that no exceptional circumstances exist nor do the interests of justice require taking these depositions in this case. 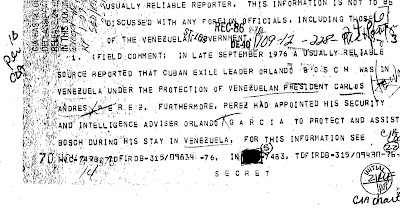 The government’s request is onerous and untimely as it comes very late in this case...Further, the depositions are to take place in Cuba, a country which has no formal diplomatic relations with the United States, and has previously refused defense counsels’ requests for permission to visit as part of their preparation for this case. Prosecutors had said they hoped to "take the depositions in the presence of the Court by transmitting the proceeding by video link." Cardone said she found the request to travel to Cuba unusual, particularly since the Cuban government had not said whether the prosecutors would be granted access to the witnesses, who are in prison. Florida lawmaker: Castro brothers are "thugocrats"
I’m truly honored to be named Chairman of the Western Hemisphere Subcommittee and to continue my work on addressing the pressing issues facing the region. With freedom and free markets under continuous assault by thugocrats like Venezuela’s Hugo Chavez and the Castro Brothers in Cuba, the United States must remain committed to countering the influence of these socialist leaders in the region. We must also work with our allies in the hemisphere to eradicate terrorist organizations like the FARC, keep a watchful eye on the dangerous ties between Russia, Iran, and Venezuela, and build relationships based on our shared goals of freedom, security, and prosperity. I look forward to working with Chairman Ros-Lehtinen, the other Subcommittee Chairmen, and the entire Committee on improving U.S. foreign policy and preserving freedom around the world. Congressman Mack does not hesitate to call a dictator a dictator, or, as is his preferred term, a “thugocrat.” Fidel Castro, Hugo Chavez, Evo Morales, and Rafael Correa are all placing democracy under siege in Latin America, and I am happy to have Connie standing up to their tyrannical advances as Chairman of the Subcommittee on the Western Hemisphere. Mack is the great-grandson of Cornelius McGillicuddy, Sr., better known as Connie Mack, the late great baseball player. The lawmaker's wife is Mary Bono Mack, the former wife of Sonny Bono, who was killed in 1998. She is also a member of Congress. Breaking news: Orlando Bosch rushed to hospital, "quite critical"
Orlando Bosch, 84, has been rushed to a South Florida hospital. "A doctor is treating him now," his wife, Adriana Bosch, said Monday afternoon. "His state of health is quite critical," said Angel De Fana, a friend and fellow Cuban exile. Bosch looked frail on Dec. 9 when he unveiled his memoirs in Miami, but he managed to speak briefly to some 150 to 200 people who turned out to see him (see video). Bosch recalled his days as a student activist in Cuba. And his friends painted him as a Cuban patriot, not a terrorist, and denied that he was the mastermind behind the 1976 bombing of a Cuban passenger airliner. Friends helped Bosch off the stage after the presentation. On his way out, he ran into an old friend, Luis Posada Carriles, also accused of involvement in the bombing. The two hugged, spoke briefly and posed for a few pictures. Then friends led Bosch to a waiting car. This 2009 cable discusses the possibility of increase cooperation with Cuba on law enforcement issues. being detained by the Government of Cuba (GOC). Cuban Americans to travel to Cuba more frequently would pass. departed the MININT protocol house. airports were not prepared to accommodate a large influx. turn around and prohibit travel to the island. Administration, Immigration and Customs Enforcement, U.S. Marshals Service, and the Federal Bureau of Investigation. side-bar concluded after approximately thirty minutes. February 2008 cable about Cuban youth. Michael Parmly writes that young people want the Cuban government to stop trying to control every aspect of their lives. democratic government work and how market economies function. return to Cuba's rich cultural tradition of private universities. Ricardo De Alarcon, President of the Cuban National Assembly. episode indicates that students were more willing to speak up. of basic goods and the preferential treatment given to foreigners. people from their conspiracy theories. government control over every aspect of their lives. favor of autonomy for the universities and academic freedom. the emergence of a large scale, activist youth movement. in the countryside for a month and a half during the school year. getting out information which is now largely word-of-mouth. exile community represent the thoughts of Cuban youth. control of the government over every aspect of their lives. with youths at every level of Cuban society. This 2009 cable says Cuba is not as vulnerable to economic crisis as it was during the 1990s. It says the Cuban government sets low expectations, mentioning even the possibility of blackouts, to fend off civil unrest. SUBJECT: HOW MIGHT CUBA ENTER ANOTHER SPECIAL PERIOD? challenges have yet to seriously affect the average Cuban. difficulties that could soon reach Cuban households. current liquidity crunch is much deeper than in recent years. months before being released to the foreign enterprise. burden. It is clear that the GOC is hemorrhaging cash. Whether it has reached the crisis point or not is less clear. Soberon may finally be on his way out. light bulbs, and importing hundreds of small generators. sector, and four provinces with increasing home consumption. and local authorities are conducting surprise inspections. the sector has clearly disappointed our Cuban contacts. generation capacity (as in 2005) but a shortage of fuel. the (diesel) gas guzzling generators. ventures in Cuba, Venezuela, and other Petrocaribe countries. currently some time in 2010.
dependent on Venezuela as it was on the Soviet Union. only a modest effect on the sugar and tobacco industries. bankruptcy by the end of the year. Is Cuba Better Prepared This Time? Spain with 8 percent, and the United States with 4 percent). credit Spain will offer Cuba. a foot in the door before a hypothetical opening to U.S.
customs, fees, taxes, and hard currency stores. have spent the past twenty years learning how to "escapar"
similar to the Special Period. the effects of the global economic crisis on the country. "soldier on" to help the country through this difficult time. equivalent of "Savings or Death". economic crisis finally makes its way to Cuban households. Venezuela and Cuba face their own financial crises. This 2009 cable says if the U.S. government is going to offer hurricane aid to Cuba in the future, it should do so quietly to avoid embarrassing the Cuban government. however, the USG should be wary that the GOC may be expecting a blank check, not a calculated offer of pragmatic post-hurricane assistance. SUBJECT: CHECK PLEASE! GOVERNMENT OF CUBA MAY ACCEPT U.S.
Drug Interdiction Specialist (DIS) assigned to the U.S.
post-hurricane assistance to the GOC. End Summary. is likely to rise in the GOC. pragmatic post-hurricane assistance. End Comment. Famed photographer shot "Cuban Society Beauties"
Vatican: Cuba doesn't pose a threat to U.S.